GREENPEACE has welcomed news of a government review of the ‘economic-link’ requirements for vessels holding UK fishing quota, as they feel it could lead to more quota being allocated to sustainable fishermen with closer ties to their coastal communities. The launch of a consultation was mentioned by fisheries minister Richard Benyon in a Times article published last week and confirmed to Greenpeace by officials from the Department for Environment, Food, and Rural Affairs (Defra). The announcement comes only weeks after a Greenpeace investigation cast doubts on the effectiveness of the current regulation by showing how millions of pounds worth of fishing quota are used by foreign-controlled vessels to catch fish which is then taken abroad and sold there, with little or no tangible benefit to coastal communities or even the wider UK economy. In a report published last month, A Wolf in Shrimp’s Clothing, Greenpeace revealed that foreign interests, including some of Europe’s most powerful fishing giants and operators with serious convictions for illegal fishing, control the majority of the fishing quota held by five of the eight Fish Producer Organisations represented by the National Federation of Fishermen’s Organisations (NFFO) – the UK fishing industry’s most influential lobby group. Greenpeace oceans campaigner Ariana Densham said: “This policy was supposed to ensure that those who exploit a precious and fragile resource belonging to us all do so in a way that brings benefits to our economy. Instead, we have a whole fleet of foreign-controlled vessels using UK fishing quota worth millions to fill the coffers of overseas operators, whilst local inshore fishermen have barely enough quota to scrape by. The ‘economic link’ policy, first introduced in 1999, is meant to ensure that the business activities of vessels fishing against UK quota, particularly those controlled by foreign interests, provide some sort of economic return for the UK economy. Under the current system, vessel owners can pick and choose from a wide range of criteria to demonstrate an economic link with the UK, with the percentage of catches landed in the UK being only one of them. But the government’s own estimates suggest that this policy has failed to secure the UK economy an adequate return for the allocation of British quota to foreign fishing interests. 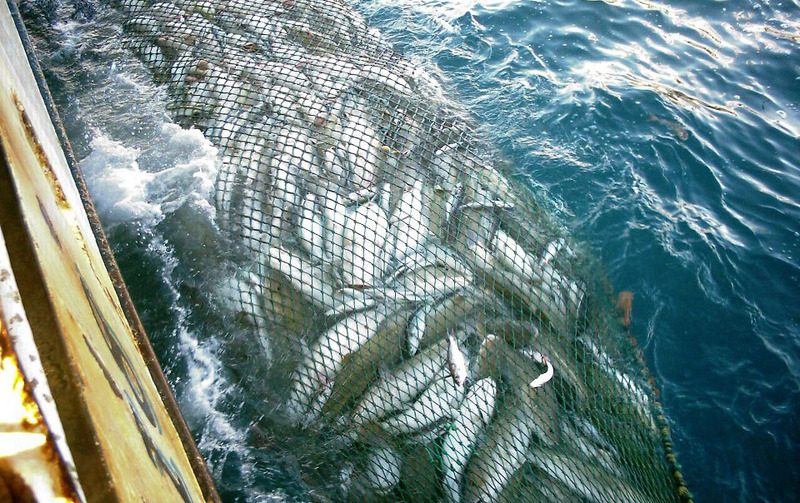 According to a 2009 report by Defra – the latest available – most foreign-controlled vessels fishing against UK quota either land their catches abroad or export them immediately after reaching British ports, and therefore their “true economic value [to the UK economy] could be close to zero”. THE latest results of the MSC’s DNA testing programme, published today, show that over 99% of products bearing the MSC ecolabel have been correctly labelled. In the most extensive testing of its products carried out to date – with 381 samples taken from retail packed products, fresh fish counters and catering restaurants in 14 different markets – the MSC found only three mislabelled samples. Two of the three mislabelled samples were from a single supplier, and found to be Atlantic cod, labelled as Pacific cod. This supply chain has now been investigated and the fish found to be from an MSC certified Atlantic cod fishery. So, although mislabelling has occurred, the substitution was of one certified species by another. The third sample was Atlantic cod which, potentially, originated from a catch area not covered by an MSC certified fishery. This supply chain is still under investigation. The DNA testing carried out in 2012 used a combination of tests to assess whether a product labelled as a certain species, for example, walleye pollock or hake, is in fact that species. While such species-level tests cannot distinguish between MSC and non-MSC certified samples of the same species, they can validate that MSC-labelled products are correctly identified by species. This kind of testing is particularly useful for species where it has been shown there is a high rate of substitution, such as many whitefish products. Where relevant and possible, the testing also included population-level tests capable of linking a sample of fish to a specific geographical location or catch area. This latter test is a particularly powerful tool, capable of detecting a case where a product labelled as an MSC certified stock of a particular species, such as Atlantic cod, does not originate in a catch area covered by an MSC certified fishery. · Increasing the use of product tracebacks and supply chain reconciliations (comparing purchase and sales volumes across an entire supply chain) to monitor high risk areas and investigate concerns raised. The MSC recently conducted a comprehensive review of pollock supply chains from the US into China and back into Europe, following concerns expressed by industry partners about the possibility of product substitution. To conduct this investigation, the MSC cross-checked the purchase, sale and processing information from 68 processors in China with sales records from exporters in the US and purchase records from importers in Europe. The review covered over one year’s worth of trade and a total of 18,000 tonnes of pollock exported from the US. No evidence of product substitution was found, although some discrepancies in records indicated the potential for substitution to take place. The MSC was able, as a result of this investigation, to refer specific certificate holders to certifiers for further independent investigation and action. David Agnew, MSC director of standards, said: “MSC certified fisheries and suppliers worldwide are committed to the program and very supportive of the MSC’s efforts to strengthen the integrity of the chain of transactions between buyers and sellers. I’d like to thank the companies based in the United States, China and Europe for their co-operation in providing the data that allowed us to carry out this detailed investigation across complex seafood supply chains, and to refer our findings to independent auditors for further investigation and decision. There is an excellent article in today’s Times newspaper highlighting the anger among fishermen outraged by claims in Hugh Fearnley-Whittingstall’s Fish Fight programme. The article says that trawlermen from all around the British coast are joining a Facebook campaign called the Real Fish Fight to protest about what they claim was misinformation in the three programmes. The article continues: In Peterhead, one of the last whitefish ports in Britain, campaigners have set up shop by the harbourside market to protest against his campaign. At the weekend, trade in cod and haddock was brisk, the catch brought into port by a fishing fleet that has fallen from 120 vessels in the 1990s to only 30. As the fleet has been cut, the fishermen claim that cod stocks in the North Atlantic have reached their highest levels for almost 20 years, and ships such as the Budding Rose, skippered by Peter Bruce, require only a relatively short time at sea to fill their holds. 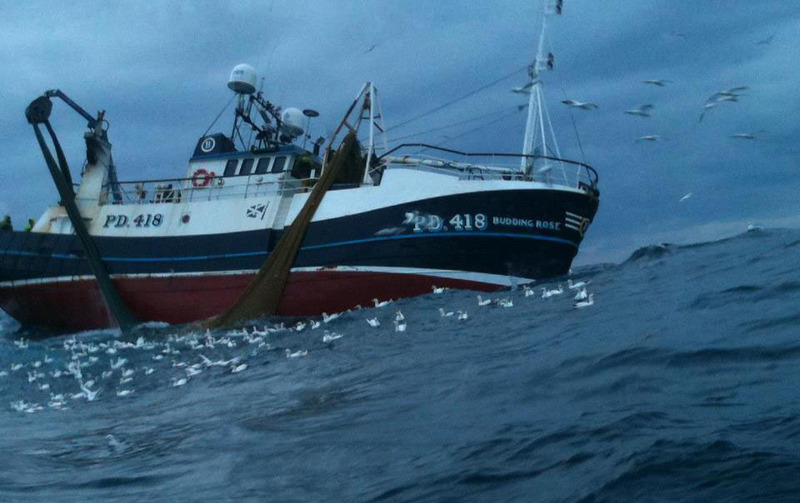 Against the TV chef’s campaign, the trawlermen’s effort appear to be a drop in the ocean. Fearnley-Whittingstall Fish Fight Facebook page has 252,000 likes against under 4,500 achieved by the Real Fish Fight. Commenting on today’s article in The Times, Bertie Armstrong, chief executive of the SFF, said it underlined the huge anger on the quayside about the failure of Hugh’s Fish Fight to recognise the considerable efforts made by fishermen to conserve stocks. Bertie Armstrong, said: “It should not be forgotten that fishermen have made huge sacrifices over the last 10 years or so to reach this stage. The number of fishing vessels has dramatically declined and there have been strict effort controls as well. In addition, we have developed our own measures such as technical alterations to nets to significantly reduce discards and implementing real-time area closures to protect juvenile and spawning fish. “In essence, our fishermen are by regulation taking much longer to catch much less fish, which has been achieved against a background of high operating costs. “The Fish Fight programme and subsequent online blogs and articles have also given the impression that fishermen are against Marine Protected Areas. The ironic thing is that we actually support the principle of MPAs – it is just the process of their implementation must not be rushed and pre-judged. Their needs to be careful scientific scrutiny to ensure that each proposed area is deserving of MPA status and is not designated on the basis of spurious evidence. March 12, 2013 -- The dominant view expressed by leading fisheries scientists at the Boston meeting was that the NGOs have a profound misunderstanding about the scientific basis of sustainability. A link to the official press release from the American Institute of Fisheries Research Biologists and the Ocean Trust Foundation appears beneath this news analysis from Seafood.com News. NEWS ANALYSIS by John Sackton (SEAFOOD.COM NEWS) March 12, 2013 -- Just prior to the Boston Seafood show, some of the world's leading fisheries scientists gathered for a Science and Sustainability Forum organized by the American Institute of Fisheries Research Biologists and the Ocean Trust Foundation. The contrast between the scientific message about sustainability and the actions of the three most powerful environmental organizations in fisheries (World Wildlife Foundation, the Sustainable Fisheries Partnership, and the Marine Stewardship Council) could not have been made more clear. The World Wildlife Foundation (WWF), the Sustainable Fisheries Partnership (SFP), and the Marine Stewardship Council (MSC) all do important work contributing to major improvements in the seafood industry. They have highlighted poor practices, they have supported rigorous science, and they have contributed money and established valuable partnerships with many companies, including producers, processors and retail and foodservice operators. Virtually the entire industry can agree on the benefits of improving fisheries management, research, and operations. Yet this partnership breaks down under the surface, as both WWF and SFP firmly believe that the end result of their work is "MSC" certification of fisheries as sustainable. They are not willing to adopt scientifically determined sustainability as their goal, but insist that MSC imprimatur is somehow more critical than scientific data. Where they mislead the industry is that their definition of 'sustainable' does not pass scientific muster. The dominant view expressed by leading fisheries scientists at the Boston meeting was that the NGOs have a profound misunderstanding about the scientific basis of sustainability. Here are some of the conclusions, adopted at the end of the scientific forum. The actual consensus statements are italicized here. Fisheries in developed nations are steadily rebuilding and further improvements in stock status is expected to continue. For these fisheries in aggregate, 'sustainability' is being achieved through successful application of good fishery management practices. Information from assessed or surveyed stocks shows that fisheries for those stocks have been sustainability managed for the last few decades. Data shows that overfishing has been reduced in most developed countries and some developing countries. There have been considerable successes in rebuilding, and current fishing rates are expected to lead to further improvements in stock status over time. In comparison to other sources of nutrition, seafood is relatively environmentally- friendly. There is a significant misunderstanding of terms like overfishing, overfished, and over-exploited. These terms refer to a rate of fishing that is not optimal, but do not refer to whether a fishery is sustainable. A sustainable fishery may experience periods of non-optimal rates of fishing but can still be sustainable under all commonly accepted definitions of that term. The key is that any overfishing is quickly corrected. Effective management systems will include adequate responsive action to end overfishing and avoid irreversible harm. Sustainability is the result of a process of a well-designed and implemented fishery management system. The performance of management systems is more meaningful than the status of any single stock. Fishery products from well-managed systems (e.g., many US marine fisheries) should be considered to be sustainably harvested. Fishery resources are subject to environmental change, and not all stocks respond to fishery management as expected, often because of a lack of understanding about environmental factors. Advances are needed to incorporate environmental variability, consider mixed-stock fisheries and develop an ecosystem basis for fisheries management. Given the progress in reducing overfishing and rebuilding stocks in well established management systems where the fishery resources are adequately assessed, further improvements should be promoted for unassessed stocks to achieve management objectives. Current management challenges involve modifying static single species models of fish stocks to how fisheries ecosystems behave in a changing climate. The cumulative impact of WWF, SFP, and MSC has been a concerted campaign to convince buyers and the public that unless a fishery actually is assessed against the MSC standard it is not 'sustainable'. This is a great falsehood. Numerous fisheries are being sustainably managed today, regardless of whether they have entered into an MSC assessment process or not. These fisheries meet every scientific criteria for sustainability yet the WWF, SFP and the MSC urge their partners not to accept products from these fisheries. And some fisheries in the MSC are lumped together with others that have vastly superior management and practices. The net result is that any approach that attempts to equate the MSC standard with "sustainability" and conflate the two does real harm to the seafood industry. It makes buyers and the public suspicious of fisheries that are fully sustainable and managed for long term ecosystem health, but which may not have an MSC logo. Within the retail community itself, this approach promotes radically different standards for seafood products than for any other food group. It is a given that human food production modifies the environment, even at the hunter gatherer stage. Agriculture, on the whole, is far more destructive of the original ecosystem than marine fisheries, which are the result of a managed wild ecosystem, not the wholesale replacement of a natural ecosystem with a new man-made ecosystem. Yet the seafood industry is called an environmental villain while terrestrial agriculture is accepted as productive land use. The environmental groups have promoted this double standard, and they have been abetted by retailers who are less interested in the science of sustainability than in not being picketed outside their store. At the Science conference, and on the show floor, there is a sense that the battle to apply scientific understanding to fisheries sustainability has been lost, because retailers will not accept scientific arguments on their merits, but only if they meet the ideological tests of the NGOs. Bowing to greenmail and avoiding controversy trumps science every time. This is a battle that hurts the seafood industry, and the global food industry. It totally fails to address problems such as food security for a growing population, and the role that sustainable marine protein has to play. It focuses huge time and effort in a battle over whether salmon in Alaska, which virtually all NGOs and fisheries scientists recognize as extremely well managed, is best represented by having an MSC label or not. Meanwhile, the real issues in fisheries conservation are ignored. A true agenda for the SFP, WWF and the MSC might include advocating strongly for fisheries habitat protections. The Pebble mine is a perfect example. That mine is a true threat to sustainable salmon - yet what mileage do the NGOs get out of spending money to oppose it and educate the public. The MSC and others should be crying alarm about the potential impact of the Pebble mine to every salmon buyer on the globe. They might also focus on improving fisheries assessment and research in Africa and Asia. There is a widespread recognition that in many less developed countries, catch reporting is little more than guess work, yet accurate understanding of catch and stock status is essential for sustainable management. The ISSF (International Seafood Sustainability Foundation), fully supported by the WWF, has been an outstanding example of focusing resources where they are needed - in providing science to better support tuna fisheries decision making, and in lobbying managers to adopt scientifically determined management strategies. If the NGO movement were to follow the scientists advice about fisheries sustainability, we would see more international NGO efforts like the ISSF, and less effort whose goals are simply to increase the use of the MSC label. But instead we are caught up in a false battle over what constitute true sustainability, and until the WWF and SFP are willing to broaden their goals beyond MSC certification, this is where the sustainability movement will remain, and it will lose relevance over time. Google shows that public interest in "sustainable seafood" based on word searches peaked in 2005, and has been declining since then. Let's rekindle that interest with a new approach that celebrates our success in terms of true scientific achievements. These include much more than just the growth in the use of the MSC label. This article was originally published by Seafood.com, a subscription site. It is reproduced with permission. Catch quota management and the ban on discards will be passed as part of the EU’s common fishery policy reform, but for it to work, fishermen need to be given the control and flexibility to implement it. This is the view Mogens Schou, Danish ministers’ adviser for fisheries and aquaculture and chair of the EU Commission’s standing committee on agricultural research for fish, gave Undercurrent News shortly after his presentation at the North Atlantic Seafood Forum. Schou is also a partner in Aquamind, a firm which advises on designs and implementation sustainable fishing practices in line with EU law. As part of this job Schou has worked with Danish fishermen to employ the catch quota management (CQM) system since 2008. CQM is effectively the counting of all catches against quotas, which is in direct contrast to the current system in which the discarding of over-quota fish is standard. CQM should lead to selective fishing, as well as much better data on the stocks of fish. “The CQM scheme in Denmark has been used with full compliance and accountability for 140,000 fishing hours,” he said. Put simply, his belief is that when CQM is in place, it is in the fishermen’s interests financially to catch only what they should be – adult fish of the species they hold a quota for. The most effective way to do that is to allow the fishermen the flexibility to choose gear, and fishing days, with which they can land the highest-value catch, as opposed to being micro-managed by strict regulations. With that in mind, Schou is advocating large-scale trials of CQM in EU member states, where it can be judged by the relevant measures – value per catch unit, catch composition – and without the strict controls and regulations. “Once the industry has demonstrated that this works it will be easier for the legislative powers to translate those terms of the trial into concrete EU legislation,” he said. It is his hope that this trial can begin in early 2014, and align with the date of the discard ban entering into force in the pelagic fishery and in Skagerrak. Other areas will follow suit. If the trial extends into the Baltic and the North Sea then the participating nations will have, in effect, established the discard ban prior to the date fixed by the EU, and without the micro-management, he said. Aquamind and the Danish Technical University (DTU Aqua) are preparing for the large scale trial to begin Jan. 1 2014, and are waiting to find out if the European Fisheries Fund will be financing it, with a decision expected in August. The best example of efficiency through flexibility is that of a fisherman Schou met during the CQM trial in Denmark. A fisherman participating in the trial was altering his gear prior to a fishing trip, fixing a different mesh panel to it. “The area I will fish in for the next two months has a lot of small cod,” he told Schou. “This is about optimizing the economy, optimizing the food output, and to do that it is necessary to be flexible and to adapt to circumstances, and you can not do that in the legislative system,” explained Schou. Another part of Schou’s work with Aquamind is advising fishermen on what they can do with fish landed instead of discarded. There are some very interesting solutions for by-catch, he said. successful trials to hand control over to the fishermen. Celebrity chef Hugh Fearnley-Whittingstall says he is listening to Peterhead skippers angered that his TV show misrepresented them and the UK fishing industry. Hugh’s Fish Fight dumped the reality of discards right into the living rooms of the public; highlighting the merits of sustainable fishing and calling for action to be taken to ‘save our seas’. His methods however, angered a group of trawlermen who fought back with The Real Fish Fight campaign. The campaigners voiced concerns that the series did not differentiate between the healthy North East sector and troubled markets elsewhere in the country. They also argued that "there are plenty of fish in the sea". Now Hugh says he has been listening to the campaigners' arguments and says he recognises how healthy the north-east industry is. And he has heaped praise on campaign leader Peter Bruce, calling him a "top skipper" and someone who could "lead the UK fishing industry". Speaking to STV, Hugh said: "I know that Peter Bruce of the Real Fish Fight is one of the top skippers in Scotland and catches great quality fish. He is on the innovative catch-quota system and so doesn’t discard any cod and has an MSC certificate of sustainability for his haddock. "He’s the sort of fisherman to lead the UK fishing industry in the right direction. I think we’ve got a lot in common and I am listening to what the Real Fish Fight has to say. "I do acknowledge that cod stocks are doing well in the North Sea from their all-time low point in 2006 and applaud fishermen and fishery managers for their hard work to make that happen. But looking at all stocks, across the whole UK, it’s a complicated situation. "Our latest series of Fish Fight focused on Marine Protected Areas, and did not discuss fish stocks in the North Sea. We filmed on the Isle of Man – in the Irish Sea – where cod stocks are still in dire straits, and scientists advise that we shouldn’t catch any cod if we can help it. It’s the same in coastal areas of West Scotland." The fishing industry was dealt a heavily blow when, earlier this year, the Marine Conservation Society demoted mackerel on its list of ethical fish to eat, causing Hugh to ditch his campaign to get "mac baps" into Britain’s chippys. North Sea fishermen met with green groups, WWF, Marine Scotland and fisheries scientists, to find a solution to the depleting stocks and have swapped their nets for different mesh sizes to allow younger fish to escape. Campaign founder and skipper, Peter Bruce, said: "We’re not happy with the way that we have been portrayed. What the programme called facts were just lies. We thought there was such a misrepresentation of the situation; we had to set up on our own. "There are plenty of fish in our seas. His campaign is all about scaremongering and I know that to be true because every time we take the boat out we can see for ourselves on our equipment just how many fish there are out there. "Fishermen haven't been given any credit for their efforts, and there is no evidence to suggest that by banning fishing in certain areas that fish numbers will increase, or that this will be the best way to conserve." The fishing fleet at Petehead has fallen from 120 vessels in the 1990s to only 30. 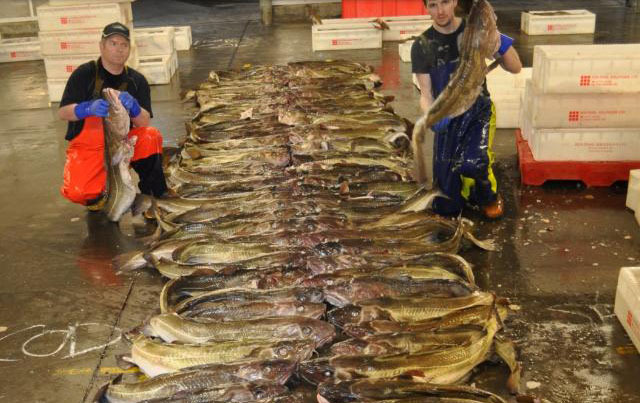 Two weeks ago, Peter’s boat, The Budding Rose, hauled her largest ever catch of cod - 30 tonnes in a single net. Peter added: "I had never seen a catch like that in all my 30 years at sea. The boat’s ram was completely bent out of shape by the weight of the catch - so much so it has had to be removed for repairs to be carried out. "It was taken around 20 miles from closed cod spawning grounds; I had been fishing for haddock. I was in contact with a fellow skipper who was 75 miles away and he was having a similar experience." Peterhead is the UK’s largest white fish and pelagic (mackerel and herring) port and runs an on-site fish market from Monday to Friday. The fishermen claim that cod stocks in the North Atlantic have reached their highest levels for almost 20 years and ships such as the Budding Rose require only a relatively short time at sea to fill their holds. Peter added: "Some people want the North Sea left as an aquarium and we just can't have that. We would like the scientists to come out with us and see what we are seeing on the grounds. "Hugh’s Fish Fight seems to be motivated by raising his profile and bank balance. In the first series, he did a great job of highlighting the issue and we were all for it but we are not happy at his more recent claims about fish stocks." "The money spent on his campaign should have been spent on scientific research; his measures will not provide a solution, it will only flood the market with products from overseas which have a high carbon footprint." Hugh’s Fish Fight production company, KEO Films, are currently reviewing their options for a follow-up episode of the series, but have not ruled out a meeting between the two fish crusaders. To find out more about the Real Fish Fight campaign, you can find them on Facebook. Lets get 1 thing straight from the get go about HFW this is NOT a genuine comment from him , he KNOWS full well that he's been caught out lying to the British public and that the public are now demanding the TRUTH from him , a truth he is totally unwilling and unable to provide due to his close association with Greenpeace and Ocean2012 ( which he is a mouthpiece for after all ). Next week, crab fishermen from Devon will journey to the chilly waters of the Northern Europe to find out how local fishermen are building sustainable fisheries. Going to sea with their Norwegian counterparts, the Devon fishers are hoping to learn how cod fishermen from Steigen are working successfully with scientists to manage their stocks for the long term. The expedition is part of the GAP2 project, bringing fishermen and scientists together to work in true partnership. “Sustainable fishing is key to the long term future not just for ourselves but for future generations. Here in our South Devon fishery we have always used best practice to achieve this. But working with scientists, while important in making sure we’re on the right track, has in the past been challenging and frustrating. So it’s good to learn what others are doing – especially in this Norwegian cod fishery, where historically, fishermen and scientists have had many differences of opinion. “This trip will help empower the fishers to take more responsibility for the sustainable use of their resource'. This expedition is the return trip of an exchange which saw a group of Norwegian fishermen travelling to Devon in October last year. You can read more about what happened here. On this forthcoming trip, UK fishermen will not only be going fishing with their Norwegian hosts, they will also be visiting a salmon farm, fish processing factory and fishing village so that they can fully understand Norway’s fishing industry in its entirety, and what it takes to be sustainable in this part of the world. “We’re keen to welcome the UK fishermen back to Norway. Last October, we visited their fishing grounds in Devon, which did appear to be a very exposed coast, worked by very skilled and tough fishermen. But we’re now keen to show our fellow fishers, how and where we fish, 17 degrees North…. We’re also looking forward to sharing knowledge about sustainable fishing, particularly because we too are developing our own fledgling crab fishery here in Norway".